I spend more time watching shows and re-watch movies during the Winter unless there's something new that's coming and I want to go see. 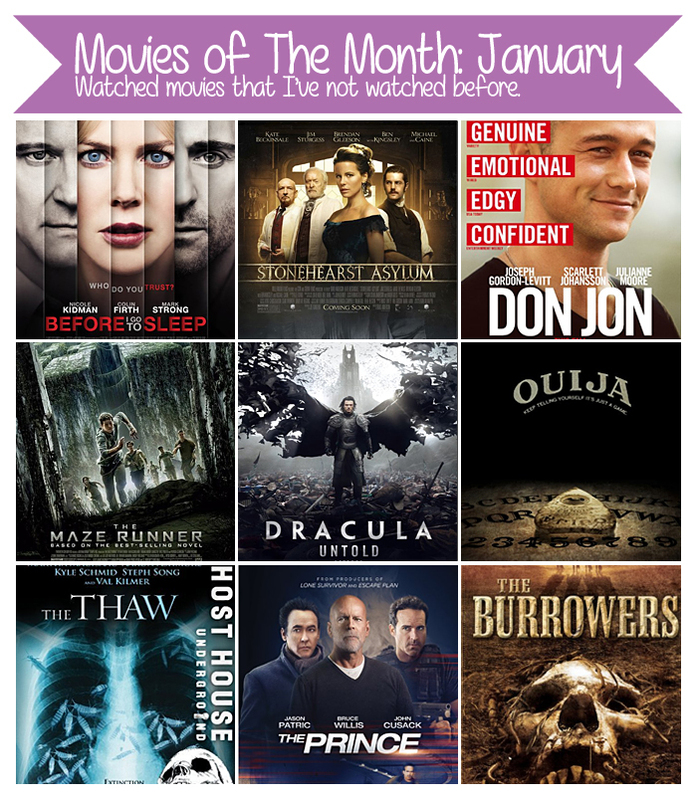 What movies have you watched this month? Anyone above? I watched "Rock of Ages" for the first time the other day. I've seen the broadway show but not the movie! It was decent. First of all, you HAVE to watch "Kingsman the secret service" - It was AWESOME! Don John's a weird one - watched it only for the love of JGL! Though, he is great in it. Saw a bunch of films in January - trying to see all of this year's Oscar noms. Think my faves of last month were Interstellar, Guardians of the Galaxy, Gone Girl and John Wick. Yeah! It was really weird but somehow good...but still not good...It was weird in many ways x) ! !